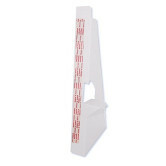 Make your message stand up and be noticed with adhesive backed easels. 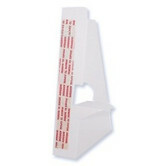 The Twist N' Hook Board Hanger is an easy way to hang your projects mounted on foam board or gator board. 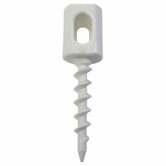 You just screw in the Twist N' Hook and use wire, cord or fishing line to hang your board. 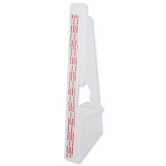 The Pick N' Hook Corrugated Plastic Hanger is a simple way to hang your corrugated plastic media. 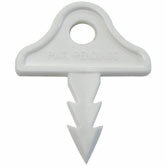 The Pick N' Hook just needs to be pressed into the fluted edge of the corrugated plastic and hung with cord, wire or fishing string. 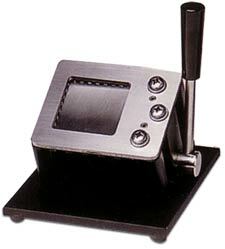 Cuts photos for passports and ID cards. 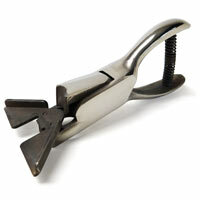 Punches 5/8" x 1/8" slot for attaching clips, straps, or loops. 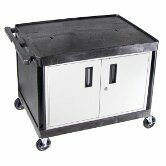 Poly-off removes excess poly to keep your laminator's heat shoes and rollers clean. This kit includes 1 can of Poly Off cleaning solution, 1 scrubbing pad for cleaning rollers, and 1 non-abrasive pad for cleaning heat shoes. 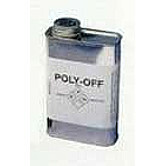 Poly-off removes excess poly buildup from your laminator's heat shoes and rollers. 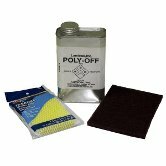 Keep your laminate free of poly streaks and defects with a regular cleaning with Poly Off. 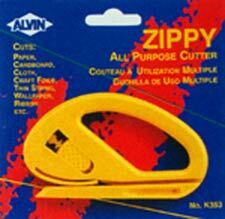 The Zippy cutter is a safe and easy tool for cutting laminate. 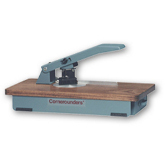 You can cut as close as you want without damaging your expensive rollers. This new roll on adhesive is safe, convenient and easy to use. Two swipes will cover a A4 size page from edge to edge with adhesive.